3-5 axis milling. Night or weekend shift positions available. tooling. Journeyman certification or related education preferred. experience maintaining CNC machines, HVAC, and facilities. 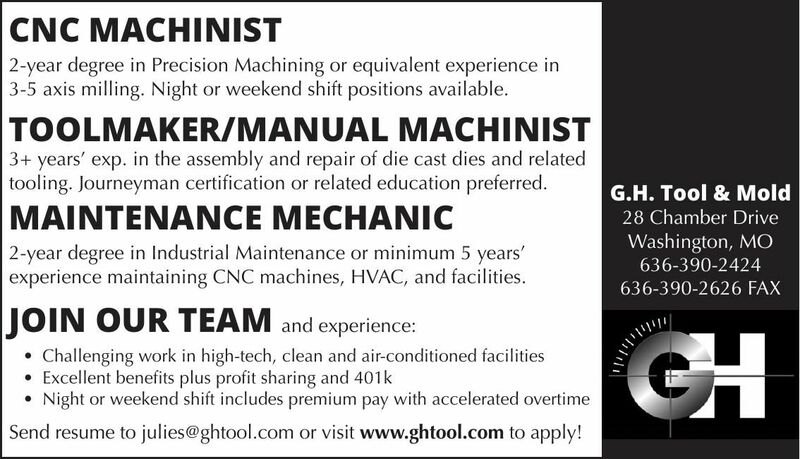 Send resume to julies@ghtool.com or visit www.ghtool.com to apply!